Some experts are of the opinion that living public will become the default in the future, and that privacy will become a luxury good. But products like Peerio, create the possibility for the democratization of encryption and privacy -- and access for anyone. Cybersecurity often appears too dense for the average consumer to understand, which can create a divide between security haves and have nots. 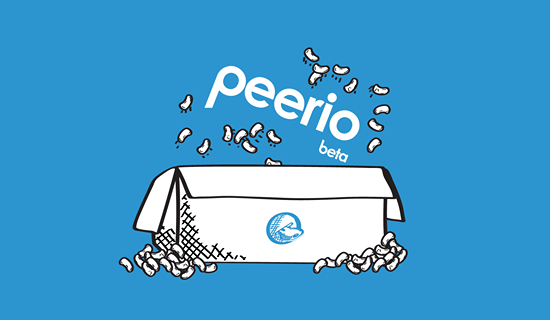 In an attempt to address the divide, Nadim Kobeissi — the creator of Cryptocat— has created Peerio, an encrypted productivity suite that aims to let users encrypt everything easily. Peerio is a desktop client, available for Mac, Windows and as a Chrome extension, which provides email, IM and file transfer features. All of these features are end-to-end encrypted, and reportedly inaccessible to all. The encryption is rather innovative in the way it handles the users decryption key. Each time a user logs in their passphrase generates a short term key; when the user logs off that key is nullified. Users don’t need to transport a decryption key, and they can log in on any device without fear of their key getting left behind. The app has been tested by German security firm Cure53. The good thing that I’ve found about Nadim is that he’s taken criticism and made something out of it, There’s a major leap from Cryptocat to what is now Peerio. We had a positive impression about the whole thing. The simplification of encryption tools is a big part of securing privacy on the internet. WhatsApp has chosen to make end-to-end encryption the default for it’s communications. Kim Dotcom, creator of MegaUpload, has announced that he’s releasing a strongly encrypted video calling service. Some experts are of the opinion that living public will become the default in the future, and that privacy will become a luxury good. But products like Peerio, create the possibility for the democratization of encryption and privacy and access for anyone.